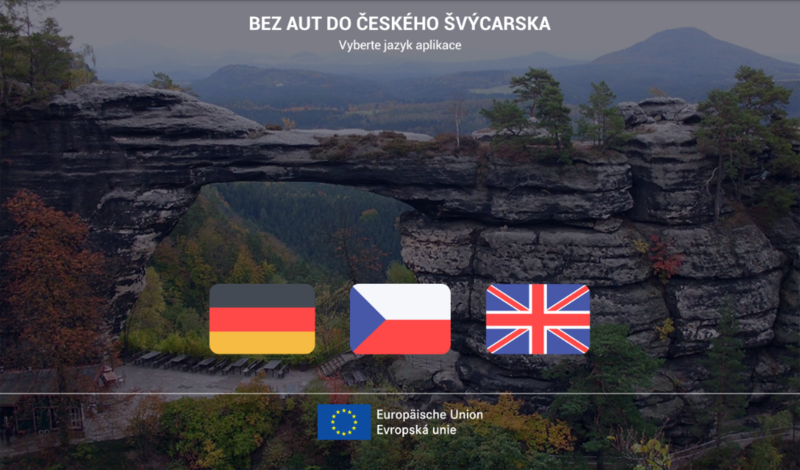 We have developed a smart glasses application for České Švýcarsko o. p. s., that guides tourists through local areas of natural beauty. 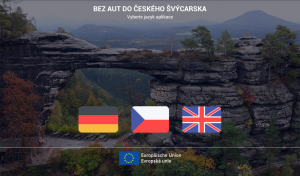 Client:České Švýcarsko o. p. s.
We have developed a smart glasses application for České Švýcarsko o. p. s., that guides tourists through local areas of natural beauty. 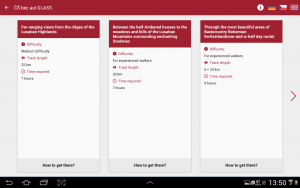 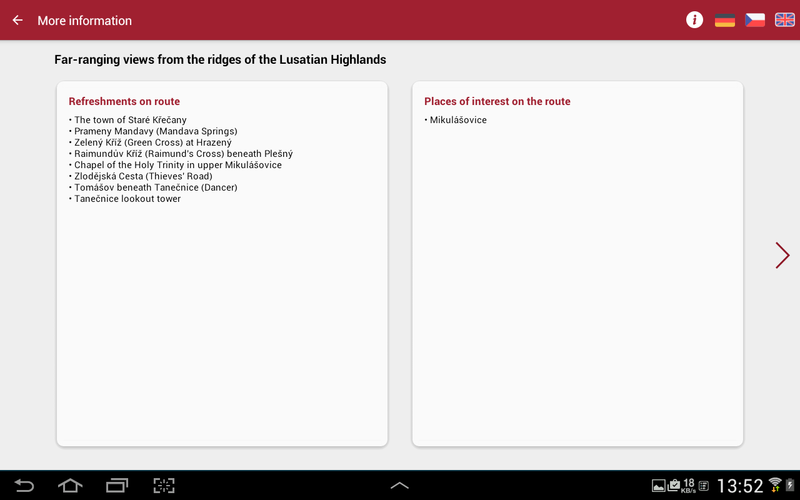 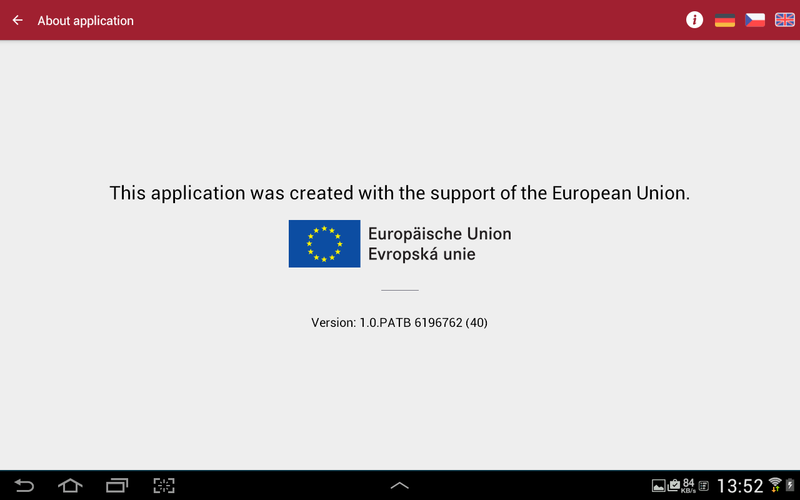 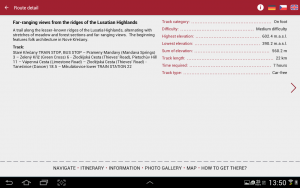 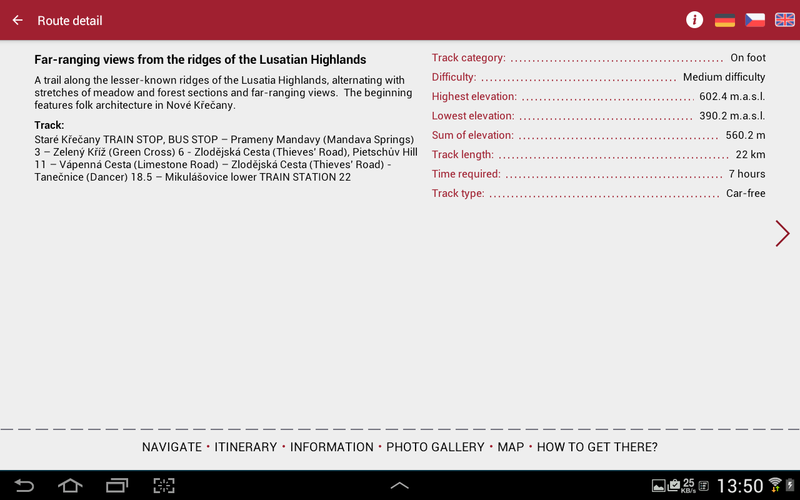 The application offers navigation, descriptions of hiking trails, videos and timetables. 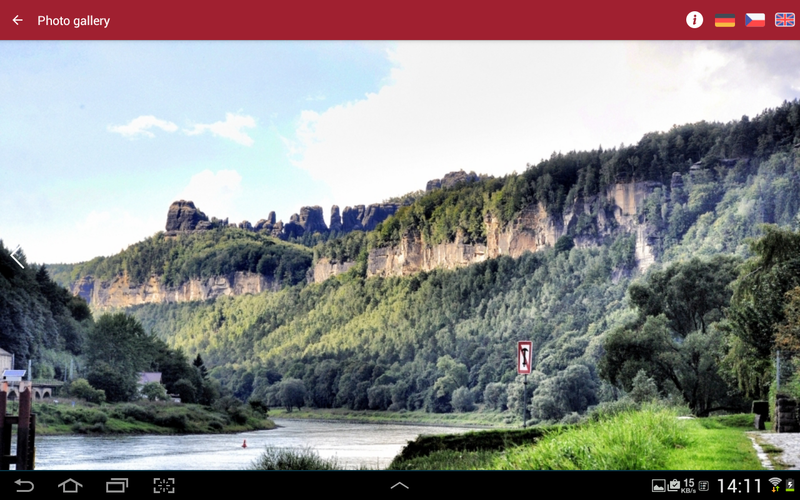 There are also camera and video camera functions. 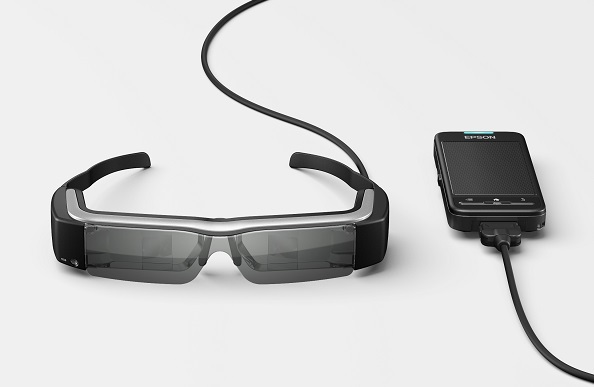 The app runs on Epson Moverio BT-200 smart glasses, which are equipped with the Android operating system (version 4.0.4). 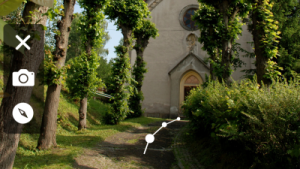 The real surroundings can be watched through the semi-transparent glass lens of the glasses or a virtual screen with the application can be turned on. 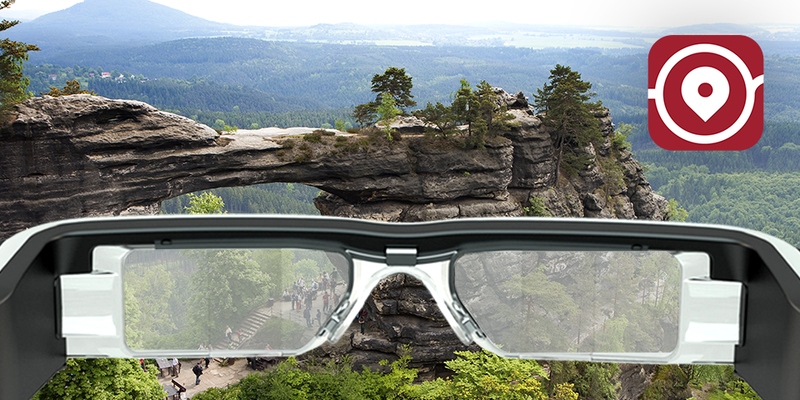 The glasses are controlled by a special driver that tourists can comfortably keep in their pocket. 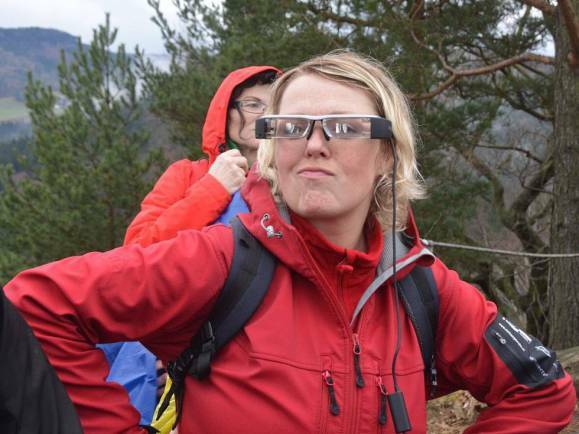 Visitors to the national park can borrow glasses at special events. 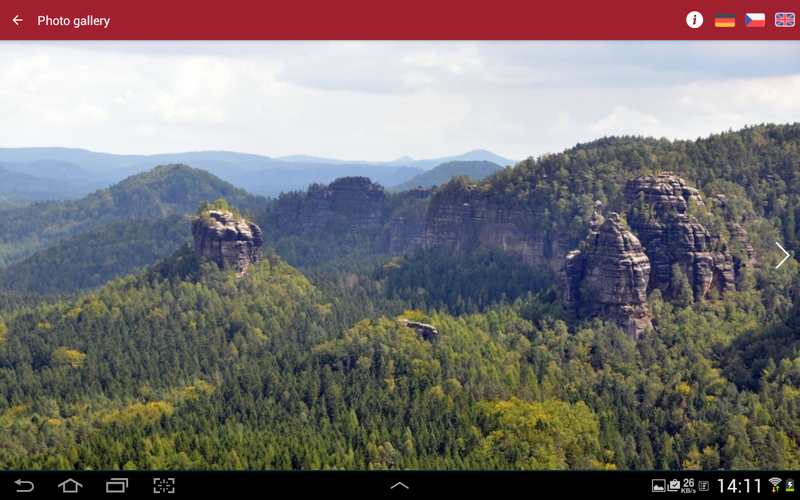 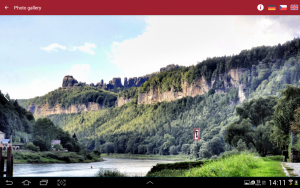 Further information is available on the website of Bohemian Switzerland o. p. s..